Our vision: "To be the first choice, highest quality provider of on-time wine storage and logistics solutions." 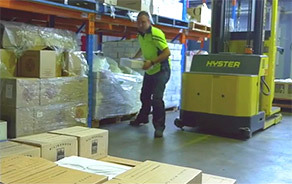 Wine Storage and Logistics Pty Ltd – "WSL" - is a dedicated, wine storage and warehousing, transport, container packing and secondary packaging facility designed by passionate wine industry experts utilising state-of-the-art technology ensuring ideal conditions for quality controlled wine storage. WSL is a safe haven for your valuable wine stock. We offer a professional approach to the wine industry, delivering the storage and logistics component of the wineries supply chain requirement. Established infrastructure supporting WSL include information technology, relationship management, administration, accounting, human resources and maintenance. WSL's approach provides the support to service our clients efficiently, accurately and cost effectively. Our independence from the bottling lines allows us to represent our clients by seamlessly coordinating the arrival of stock whether it is destined for storage, secondary packaging, or container loading at WSL and WSL REPACK. We take full responsibility and control of all post bottling services which are provided by our two conveniently located Adelaide facilities. "Delivering Your Success is Our Business". WSL treat all of our clients with respect and see our relationship as a partnership. We understand the demands and deadline pressures that our clients experience. With the wine industry constantly evolving, WSL's efficient logistics and quality controlled storage solutions provide the flexibility that ensures our client's needs are met on time, every time. At WSL clients receive accurate and accountable management of their inventory which is viewable via the web, live 24/7. WSL's client relationship offers total transparency and open communication right from the planning phase, through to implementation, and contract management. Our customer-centric approach, which is supported by WineTrack™, ensures WSL maintain measurable customer satisfaction and market relevance. This model allows for the development and rollout of customer specific solutions and "best practice" services enabling WSL clients to experience the industry benchmark. The WSL team pride themselves on a "Can Do" attitude, one that mirrors the vision and values of the owners, Guy and Sandra Fens. Our team has over 20 years warehouse management experience and believe in delivering a consistent, high level of customer service. All team members are fully trained in all facets of the business and warehouse management system. 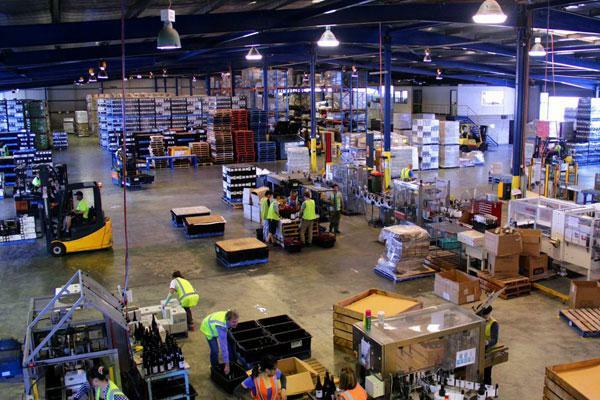 Our warehouse team understand that careful handling ensures safe progress for all types of wine products, from the point of receipt through to storage and loading requirements for dispatch. Purpose developed software and stock control procedures enable staff to efficiently track all products and accurately report stock levels at all times. WSL REPACK is led by WSL owner Sandra Fens and is staffed by wine industry and packaging experts with many years' experience in production and wine packaging. Our supervisors and team are conditioned to check and sign off early during all phases of the process ensuring precise alignment to specifications. This means that you can have total confidence that your wine is in the best possible hands.